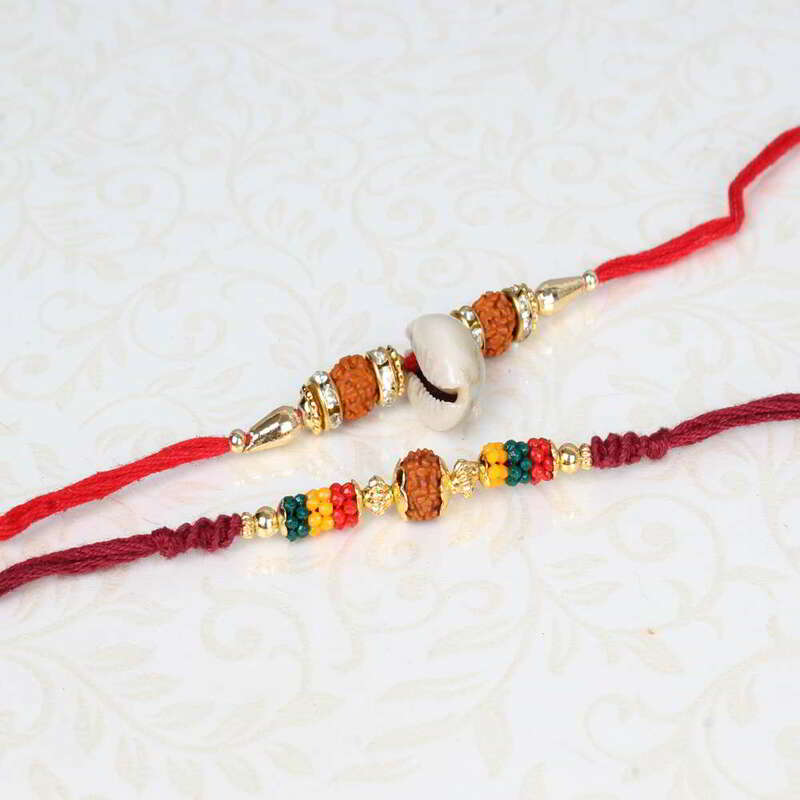 Product Consists: Kodi and Rudraksha Rakhi Combo nicely tied on a Designer Card. 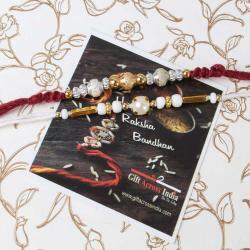 Pair of two Rakhis for your loved one tied on a Raksha Bandhan special designer card will be a great idea to amaze them. 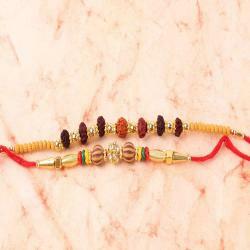 Multicolored beads with Rudraksh threaded in a matching string give a nice look. 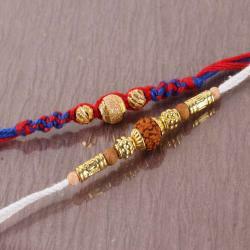 Golden beads with Rudraksh threaded with Kodi at the middle, both Rakhis give a pious look. 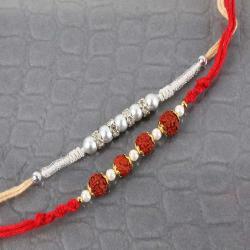 Buy this set of two beautiful Rakhi for your loved one and celebrate the festival of Raksha Bandhan with them. Tying these special Rakhi on their wrist will make the celebration happy and auspicious which will be remembered for life. 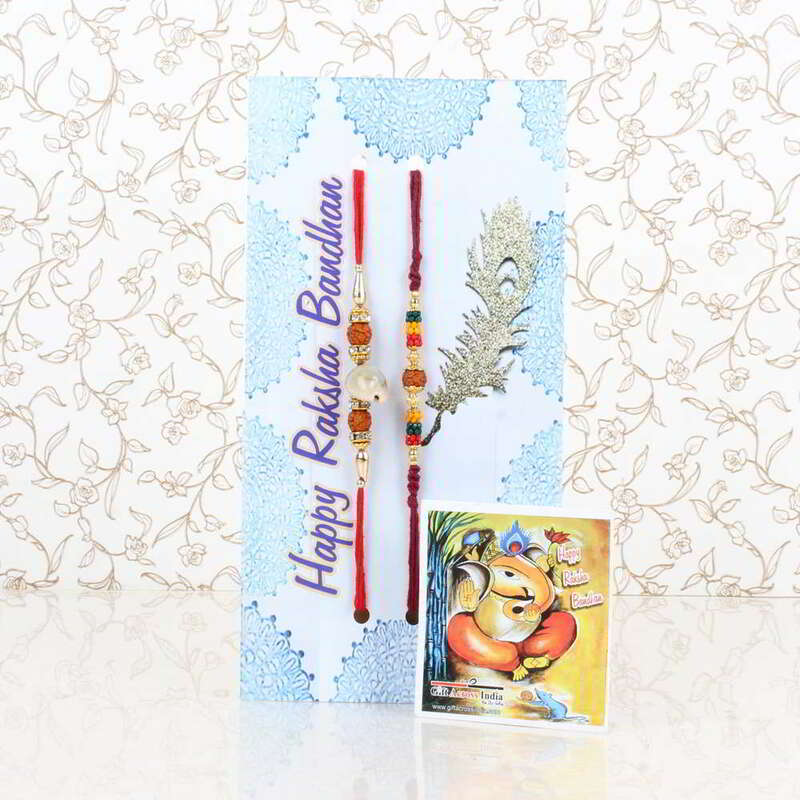 Product Consists: Kodi and Rudraksh Rakhi Combo nicely tied on a Designer Card.